If you're looking for the latest look in soft furnishings, pop in to our showroom in Lymington to view the new collections from all our suppliers. You can browse our wide array of designer books at your leisure. 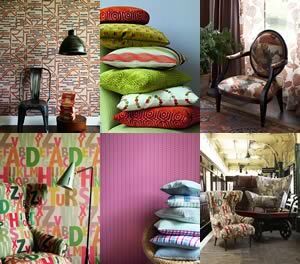 If you need soft furnishings of any kind we're happy to help. We can visit your home or office straightaway if you prefer - call us or better still email us with some basic information to give us a start on what you’re looking for, so that we can bring relevant books and samples with us.